Today, with extensive chatbot development from booking a table to pointing you to the right document, near-human experiences are getting provided by the bots. Chatbot design and development is one of the most sought after technology now. And, we at Appradius have not left this sector unexplored. 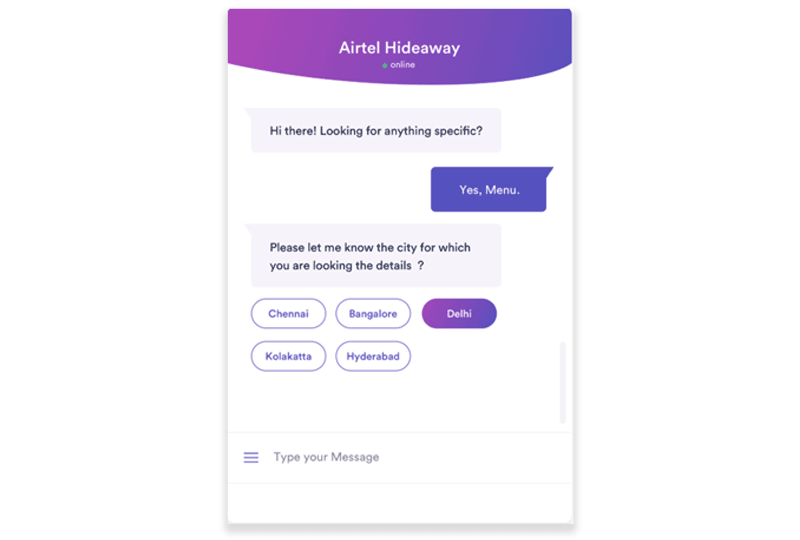 Trilyo is targeting the hospitality industry with their AI driven Voice & Chat based services. Drift provides a buying experience for potential customers, generate more qualified leads, and dramatically accelerate the sales cycle just like the others. So far Drift raised $107M. Just like a helping hand, chatbot development is going to be massive with helpful chatbots just everywhere. Focus to build a chatbot will be more industry oriented. With good user experience it is easy to spread information regarding your best chatbot platform with words of mouth. Building a Facebook messenger bot can give your business necessary marketing boost. We at Appradius start by making sure your Intellectual Property of the best chatbot platform idea is always safe and secure — it’s our top priority and every project for chatbot development starts with an NDA. We at Appradius discuss about your idea on chat-bot industry and see how we can help you with best design and technology to build a custom chatbot or a Facebook messenger bot for your company. We talk about our process, timeline, etc to see if we’re a good fit for each other. We are one of those few chatbot companies that set feasible milestones and start executing. It normally starts with information gathering, brainstorming, concept designing and iteration. Once design of your Saas product is done, we move to Agile development for your enterprise best chatbot platform. We work in agile scrum model to move the pipeline faster. At Appradius, we have the experience and expertise to build a messenger bot. Apart from custom AI bot, for many reasons people prefer to build a Facebook messenger bot, definitely, one of the reason being the high user base of Facebook. It is hard to not notice a message delivered through a Facebook messenger bot. One the product goes live, we start a new chapter. We provide maintenance support to your enterprise product on long term basis. With your team we work in integrated manner to ensure high customer satisfaction from tech point.